BUJUMBURA April 13th (ABP) – The Ministry of the Interior and Patriotic Education organized on April 12, 2018 in Bujumbura a workshop for political party leaders and executives of the said Ministry on the observation of elections. The Director General of Patriotic Education, Mr. Térence Mbonabuca, indicated in his occasional speech that the workshop was organized with the objective to show a true and a good behavior of a citizen during the electoral campaign. According to him, during the election campaign and even outside of this, it is not recommended to use offensive language. That is why we favor non-violent communication, he said, adding that an offensive language does not honor the one who uses it and even the one who would have commissioned it. Based on the positive values ​​that have characterized Burundian society, little by little, we can avoid this violent behavior, he said. With regard to some Burundians who refuse the verdict of the polls or who boycott the elections, Mr. Mbonabuca said that it is a breach of their commitments. In his presentation on the theme; the manner in which any Burundian citizen must behave, the director of the functioning of the structures of the Ministry, Mr. Ildephonse Niyungeko, first reviewed the basic duties enjoyed by every Burundian citizen, including the right to elect and be elected. He recalled that all the elections that took place in Burundi were followed by moments of crisis. To that end, he took the opportunity to recall the duties and commitments of every citizen. According to him, every citizen must respect the Constitution and the laws in force, protect and safeguard the national unity, respect the institutions of the Republic as well as the State property, to respect each other. He also said that every citizen must also protect and safeguard the country’s sovereignty and borders, pay taxes, protect the environment, love his country, and so on. Regarding the second presentation on the code of conduct of an election observer, Mr. Mbonabuca said that any observer should remain strictly impartial in the conduct of his duties and not express his preferences in relation to any party or institution. He must also comply with all national laws and regulations and must carry a sign of identification issued by the Independent National Electoral Commission (CENI). According to Mr. Mbonabuca, an observer must not display or wear symbols, colors or caps suggesting or showing that he is partisan. He must base his findings on well-documented, factual and verifiable evidence and must refrain from making any personal or premature comments about his observations to the media or to any other interested person, he said. 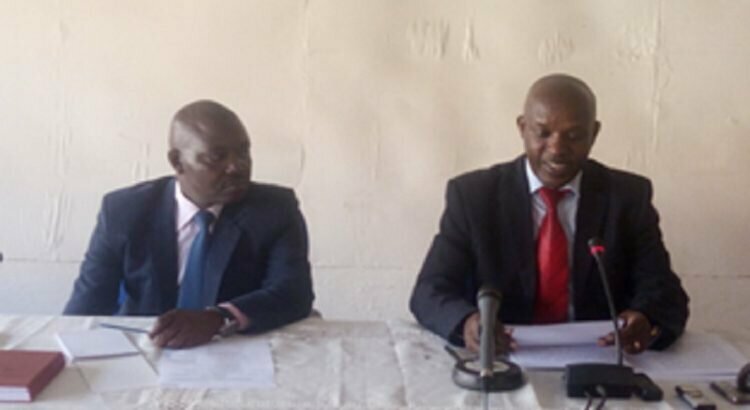 It is worthy to mention that sanctions are provided for by the Electoral Code against anyone who wishes to disrupt the electoral process, including imprisonment, fines and administrative sanctions, Mbonabuca said.